Qualcomm and Nvidia get most of the headlines in the mobile chip business, but two Chinese vendors are cornering the market for processors used in low-cost tablets, and in 2014 they might find their way into a product near you. Samsung Electronics and Apple design their own chips. Most other well known mobile devices, like Amazon’s Kindle Fire and Google’s Nexus series, use chips from Nvidia and Qualcomm. But less well-known is the booming market for cheap tablets that’s being fuelled by Chinese chip makers Rockchip and Allwinner. If you own a sub-$200 tablet then you might already be using one of their chips. These so-called “white box” tablets, labeled with brands such as PronoTec, KingPad and Dragon Touch, are meeting the huge worldwide demand from consumers who are unwilling or unable to pay for a top-end product. The demand is significant. Allwinner and Rockchip will each sell 50 million tablet processors this year, according to research firm Canalys, making them the joint second-largest tablet chip suppliers in the world behind Apple, which will sell a projected 70 million iPads in the same time frame. Many of those low-cost tablets have been sold in China, Latin America and other emerging markets. But the improving quality of Chinese components means the products could start to attract more buyers in the west, and big brands are taking a closer look. Hewlett-Packard this year released the HP Slate 7, an Android tablet equipped with a Rockchip processor that sells in the U.S. for US$139. Rockchip has also sold processors used in the Excite and MediaPad tablets from Toshiba and Huawei. HP has also used chips from Allwinner to power two Android tablets that it sells in China, and Allwinner is trying to win business with other big brands. Although Rockchip and Allwinner are based in China, about 80 percent of their chips end up in tablets sold overseas, including some in North America. That’s according to ARM, the U.K. chip design company that wins wherever the chips are made. ARM licenses the chip designs used by many Chinese and U.S. chip makers, with the exception of Intel. No one expects Qualcomm and Nvidia to lose their position in the mainstream tablet market any time soon, and Apple and Samsung will likely continue using their own processors. But Chinese vendors are well positioned to further capitalize on the growing demand for tablets priced under $200. Allwinner, based in Zhuhai, released its first tablet processor in 2011. It was a single core chip that helped trigger the market for low-cost Android tablets, according to Ben El-Baz, Allwinner’s marketing director. The performance of the chip lagged behind those of its rivals, he admitted, but Allwinner has sharpened its edge with new dual-core and quad-core parts. ”We’ve made a huge reduction in the performance gap,” he claimed. Other big name tablet vendors are in talks to use Allwinner’s chips, according to El-Baz, though he said he couldn’t name any because the deals are pending. 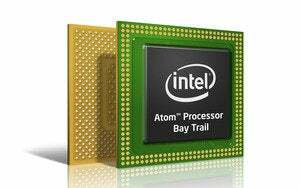 The company also plans to release an eight-core chip in the first quarter next year, and is considering a run at the laptop processor market, too. Rockchip, based in the port city of Fuzhou, has made even better progress selling to the major brands, said Canalys analyst James Wang. Its processors are used in 7-inch tablets from Toshiba and Huawei that are sold in Latin America and Europe. And China’s Lenovo introduced an Android notebook this year that uses a Rockchip processor. The Chinese vendors are attracting big vendors in part with lower prices. “They are making these chipsets so cheap, which reduces the tablet costs,” Wang said. One of their single-core chipsets might go for less than $5, compared to between $15 and $30 for competing products from Qualcomm and Nvidia, he said. The big brands want a piece of the burgeoning worldwide market for low-cost tablets too, according to Wang. The profit margins may be small, but economies of scale might allow them to ship enough cheap tablets to make it worth their while, he said. The rise of Allwinner and Rockchip are part of an overall trend in which Chinese firms, long seen as the manufacturing engine for the rest of the world, are developing leading products of their own. 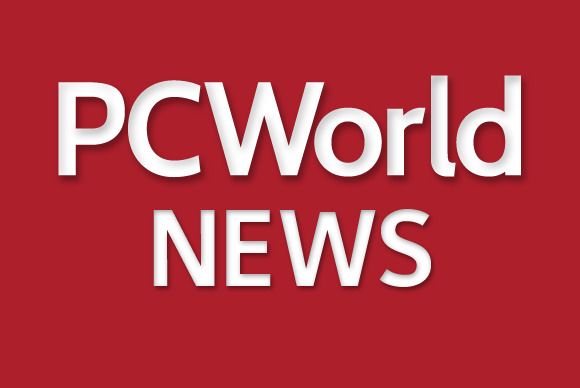 Lenovo is now the world’s largest PC maker, and China is currently home to the world’s fastest supercomputers, the Tianhe-2—although it runs on processors from Intel. Some quality concerns remain, not just with Chinese processors but with other components and product assembly too. ”[For] most of the key components, like the panel and the touch screen, the quality is not as good,” said IDC analyst Helen Chiang. But Chinese firms are learning fast, thanks partly to the experience they have gained building products for the rest of the world. U.S. companies such as HP are bringing their R&D expertise to Chinese factories, which the Chinese firms can in turn use to win business with new customers, and eventually apply to their own products. ”I think there is still a learning curve, but this of course can be short,” Chiang said. China can also turn out new products quickly, and it’s not saddled with the legacy PC business of manufacturers in Taiwan, whose fortunes rose and fell with that market. Roger Sheng, an analyst with research firm Gartner, believes Chinese chip makers have more work to do. They still need two or three years before their processors are more widely accepted by mainstream tablet makers. They also face some competition. While Taiwan’s PC makers have been suffering, one company there in particular, MediaTek, is also winning deals in the low-cost tablet market, and in November it released its own eight-core processor. Some observers believe Chinese firms will also face legal obstacles. Patent lawsuits have become one of the primary competitive weapons in the mobile business, and Chinese firms may face lawsuits from competitors challenging their ownership of intellectual property, Sheng said. Allwinner says its confident it can compete with the leading chip vendors. Its location near Shenzhen, where many tablet manufacturers are based, means it’s close to its customers, Ben El-Baz said, and gives it a “keen sense” of the market’s demands.